CDL-A truck driving teams needed in San Antonio – dedicated automotive customer w/weekly home time! Freymiller Trucking, based in Oklahoma City, is seeking CDL-A truck driving teams in the San Antonio area for an outstanding dedicated run! Freymiller offers down-home atmosphere with the respect and growth you want! Call us today at 888-457-7093, or fill out the 1-Minute Mini-App on this page, and we’ll contact you! Are you ready to get on board with a carrier that combines old school trucking with modern respect? At Freymiller, we offer real trucking to real drivers and we have the real history to prove it – we’re backed by 50 years of providing our CDL-A professionals with better pay, newer equipment and a homegrown, family atmosphere. Built on traditional values and a commitment to doing what’s right, the Freymiller family is here to support you in establishing real success. Are you a CDL holder who is looking for experience? Freymiller has designed a personalized Finishing Program for new CDL holders to hit the road with confidence! Our exceptional program pairs you with an experienced, certified trainer who will prepare you for success on the road! At Freymiller, we offer real trucking to real drivers and we have the real history to prove it – we’re backed by 50 years of providing our CDL-A professionals with better pay, newer equipment and a homegrown, family atmosphere. Built on traditional values and a commitment to doing what’s right, the Freymiller family is here to support you in establishing real success. Ready to become the boss? 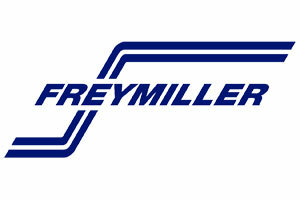 Freymiller makes it easy, offering affordable lease purchase options that get your business on the road and rolling! At Freymiller, we offer real trucking to real drivers and we have the real history to prove it – we’re backed by 50 years of providing our lease purchase operators with better pay, newer equipment and a homegrown, family atmosphere. Built on traditional values and a commitment to doing what’s right, the Freymiller family is here to support you in establishing real success for your trucking business. Our CDL-A lease purchase truck driving job opportunities allow you to choose from several makes and models of trucks, with a variety of leasing options!